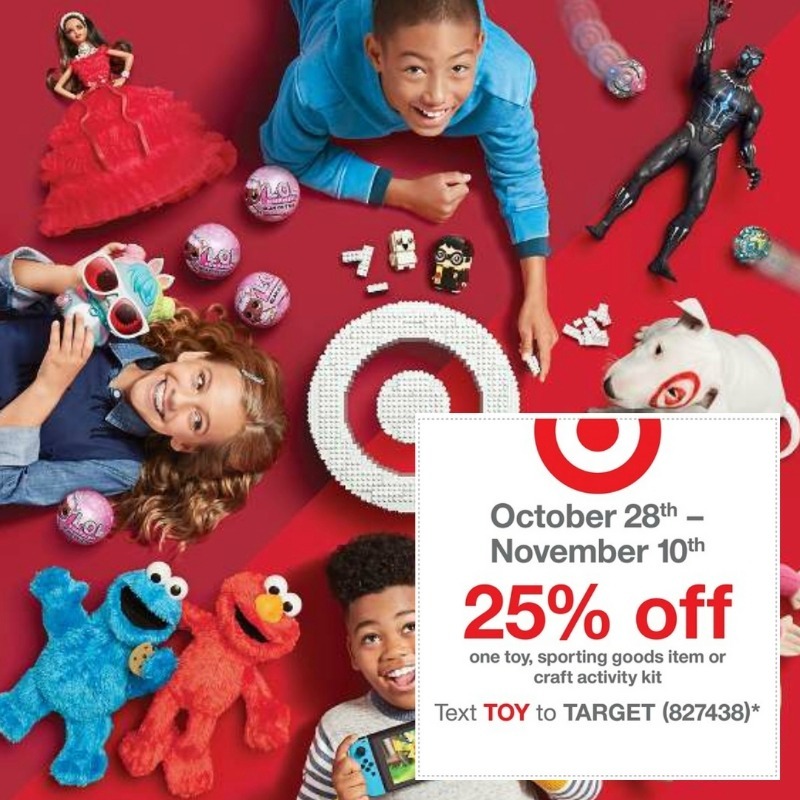 Don’t forget to use the Target 25% off any one toy coupon this week! It expires this coming Saturday 11/10, and would be sad deal to miss. To get your coupon, text the word TOY to 827438. Limit one coupon per person. If you are like me and can’t decide what toy to use it on, look at your kids list and try to pick a toy you doubt will be on sale and go with the highest priced item. You can also use this along with sales!! Tip: You can also use this online! Many of their prices are cheaper online too.